RootsTech is truly listening to its fans and finding options for those who aren’t able to make it to the conference in person. This past week the brand new RootsTech Virtual Pass was announced! It provides access to 18 online recorded sessions from the conference, allowing you to watch from the comfort of your home. What could be better than learning something new…in your pajamas! The RootsTech free live streaming sessions will also be available to those not headed to the conference. This includes the general sessions featuring keynote speakers such as Patricia Heaton, Saroo Brierley and Jake Shimabukuro. These sessions will be streamed live starting on Wednesday, February 27, at 9:30 a.m. MST from the RootsTech.org home page. For those who have attended RootsTech before, we know that it is almost impossible to get to every event or session that you want to see. There are just so many great classes to learn from! That’s where the Virtual Pass comes in. You can add the pass to your existing registration and that way, add more content. The Virtual Pass, and the free live streamed sessions are a win-win for those unable to attend RootsTech in person, and for those attending but who would like access to more content. Quick tip: Did you know that you can access the recorded content from past RootsTech conferences (2015-2018)? What a great way to get a taste of RootsTech for those attending for the first time in 2019! Or just to relive what have been some truly memorable sessions and classes! Are you ready? RootsTech 2019 is around the corner! With the new year just around the corner, RootsTech 2019 is inching closer and closer! So, what has been happening behind the scenes at RootsTech? A lot! Wonderful keynote speakers have been announced, there’s a RootsTech film competition, and just last week, the streaming schedule was revealed. Let’s take a closer look at some of these big happenings. Who doesn’t love funny lady Patricia Heaton from Everybody Loves Raymond and The Middle? Patricia Heaton will be the keynote speaker on Thursday, February 28. I’m looking forward to laughing and learning from her! Check out the 3 interesting things about Patricia Heaton that you may not have known. Have you read Saroo Brierley’s autobiography, A Long Way Home? Maybe you’ve seen the film, Lion, based on the book? Both are excellent, depicting the courage and determination of this young man, Saroo Brierley, in connecting with his birth family in India, after losing contact with them at age five. Saroo Brierley will be on the main stage on Friday, March 1 at 11:00am. Don’t miss it! I had not heard of Jake Shimabukuro until RootsTech made the announcement that he would be a keynote speaker on Saturday, March 2. I had to go and find out more. YouTube came through with some music videos of Jake playing his ukulele. After hearing him play Bohemian Rhapsody, I am a fan! The Expo Hall is one of my favorite parts of RootsTech. The energy is electric with hundreds of vendors and thousands of attendees all talking genealogy! Thanks to the RootsTech blog I’ve now learned about some vendors that I will definitely be making time to visit. Read about 10 Exhibitors You Won’t Want to Miss at RootsTech 2019. Are you new to RootsTech? Or someone looking to brush up on the basics? RootsTech 2019 has something for everyone. The RootsTech blog takes a look at what is available for beginner’s here. Submit your entry and tell how you connect and belong and you could win a trip to your ancestral homeland. What a dream that would be! You don’t have to be a professional, there’s a category for everyone. Deadline is January 30, 2019. More information can be found here. I know there are some folks who aren’t able to make it to RootsTech 2019. Here is the next best thing. A live streaming schedule that you can watch in the comfort of your home, with your pjs on if you like! Those three incredible keynote speakers I mentioned? Their keynote addresses will be live streamed. Also being live streamed are classes by well-known genealogy experts such as Rebecca Whitford Koford, Diahan Southard, Kenyatta Berry, Amy Johnson Crow, Blaine Bettinger and many more. If you’ve decided that it’s just too good to miss and you’re ready to give up your pjs and join us in Salt Lake City, on 27 February 2019, then take advantage of promotional pricing ($209) and register before January 25, 2019. Context is Key: Know the Law! At the time our ancestors lived, there were laws that came into being and which affected the way our ancestors lived and the documents they created. In last week’s post, we learned how important it is to understand the collection our record is in. It is perhaps even more important to understand the laws at the time the record was created. This is particularly important in the case of probate, deed, marriage and other court records. The way a will disperses property is influenced by the laws in effect at the time. These laws may be local, state and national. Just as our lives are subject to the laws of today, our ancestors lived and created records influenced by the laws of their day. In the early colonies and even later in the United States, women had very few, if any, rights. Under the doctrine known as coverture, a married woman could not own property, enter into a contract or even claim legal guardianship of her children should her husband die. All her rights were subsumed under her husband’s 1. It’s important to understand this law and how it affected your female ancestors. Should you come across children in an Orphan’s Court document, with a male guardian being appointed, you would be incorrect in assuming their mother had died and that they were literally orphans. I noticed this recently on a mailing list I participate in. The poster was assuming their widowed female ancestor must have died as the guardianship document, recorded in the local Orphan’s Court, showed the five young children being assigned an adult male guardian. Widowed women held no rights, not even to be guardians of their biological children. Usually there was an inheritance in play, land or other goods, and with women having no rights to make contracts or own property, she was judged unable to properly look after her children’s affairs. A male guardian was appointed to do so. Her children were not taken from her and she still cared for them physically but anything to do with their inherited property was a matter only for the male guardian. Estate law in Colonial America (specifically the southern colonies: the Province of Maryland, the Colony of Virginia, the Provinces of North and South Carolina, and the Province of Georgia) gave the right of inheritance to the eldest son of a couple who had died intestate (without a will). This was referred to as primogeniture and applied only to land and not personal property left by the deceased. Where the deceased man had several sons, the oldest would inherit the entire estate 2. If a man had only daughters, all would inherit equal shares of the land. Should the oldest son be deceased but have a living son of his own, that son would inherit first, followed by his own siblings, in birth order if males, or all equally if females. There were complex rules of descent which had to be followed in every inheritance case. Can you see the benefit of knowing this information when you uncover an estate document from the 1700s? One benefit would be the ability to determine the birth order of children based on the order of inheritance in the document. One caveat – the law changed often and varied by state. Be sure you understand the law at the time of the document’s creation, in the particular colony or state you’re working in. These are only two examples of areas where laws greatly affect the way a document was created by our ancestors. There are many, many more. Where to find information on archaic legal words? Where to find information on the laws of British America? This volume, the first of four, was published in 1765, and is a commentary on the common laws of England. Early colonies followed English common law so this book is helpful in understanding the laws around some of the early records we may come across. 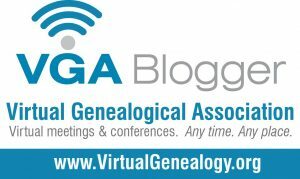 Good genealogists place their ancestors into their historical, geographical, social and cultural contexts. This involves understanding how the laws of the time affected our ancestors and the documents they created. Does my record fit in this collection? Is there anything unusual about my record that other records in the collection don’t have? Is something missing that should be there? Is the record an original or a copy? Are there gaps in this collection? Does the collection have an index and if it does, was the index created at the same time as the record? First, by studying our record image and the images that come before it and after it on the microfilm. We can compare handwriting – is it all the same in the collection (indicating perhaps a clerk copied the information from elsewhere)? Have we gone to the beginning of the film (or the beginning of the Item number on the film) and studied any images that may appear of the book cover that our record comes from? As we do so, we gather information which helps us place our record in context. Second, we can study the collection description, which is what this post focuses on. Where to find collection descriptions? One of the results in a search for Patty Dawley, born about 1771 in Vermont, is a death record. The top red arrow in the image above points to the title of the collection that the record is found in. In this example, the record is in Ancestry’s collection titled, ‘Vermont, Vital Records, 1720-1908’. The red arrow in the middle gives us further source information on the collection, including where the original data came from and which repository was responsible for first compiling the collection. The red arrow toward the bottom points to the description of the collection and this is where Ancestry does a decent job of describing the collection further. Click on the Learn more… in the blue circle and a page will appear with a search box at the top, allowing you to search only within this collection. But page down, past the Source Information we just saw on the previous page. Here we are given more information (see image below) about the collection, including a brief history of when vital records were kept in Vermont, when the law came into being which dictated the keeping of those vital records and the availability of the records. Any known gaps in the records are also given. All of this information helps us to place into context our specific record. Perhaps even more than that, the description of the collection allows us to determine whether a record we are seeking exists in this particular collection. There is a wealth of information on the individual collection page. The red arrow above points to the Contents of the page. Of great importance is the general collection description which states that this is an index only collection so we will not find images of the actual marriage documents here. There is a coverage table and map showing which counties are covered by this index. There is information on what to do if you are unable to find your ancestor in the collection. The blue arrow points to the ability to access and search the collection from this page. When we understand the record collection, we are better able to understand our specific record. Genealogists consider the weight of evidence in each document they use. Understanding why and how that document was created aids in being able to effectively weigh the evidence the document provides. As important as it is to understand the collection our record is in, it is equally important to understand the laws at the time the record was created. Next week’s post will focus on how the laws of the time influenced the records created by our ancestors.